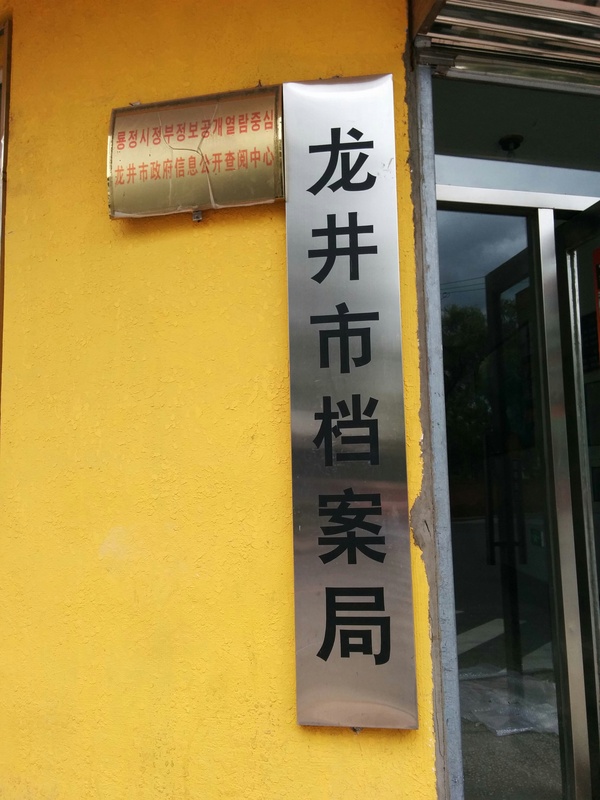 I visited the 龙井市档案馆 Longjing Municipal Archives a few days ago and discovered, again, that the word for “open” (开放) in the context of Chinese archives doesn’t always mean what it should, or at least what a historian would like it to mean. Located about 30 minutes from Yanji city, Longjing was an important administrative entity in postwar Yanbian. As I learned from another recent archives trip, it had administrative control over Yanji County, a big swath of land which includes what is now the border city of Tumen. Longjing has historically also had a large Korean population, so reviewing its history can tell us much about the evolution of China’s nationalities and ethnic policies, especially during the 1940s and 1950s, when many things were still in flux. It was with all this in mind that I visited the archives in Longjing. My expectations were not high, however, owing to the disappointing experiences I had earlier in the week in Yanji and Tumen. I arrived right as the lunch time xiuxi was coming to an end, even bumping into the archives’ deputy director in the entranceway. (I spotted his portrait and job title on the wall of the first floor.) He took me to the reception room, gave what looked to me like a nod of approval to two receptionists, and then proceeded on to his own private office. I told the staff who I am, what I was doing in China, and that I wanted to look at the catalogs to see if their archive had anything relevant to my research. With some additional explaining, I was eventually handed the binder containing a folder-level index for the Longjing Municipal Government fond. This was exciting and unexpected in itself. The index provided the title, date, and archival signature for each folder in the government fond. Significantly, under the column for “remarks” (备注), you could see if a folder was still classified or if it was declassified. The box was either empty (meaning still secret) or it contained a red stamp of 开放 (open). Many of the “open” folders looked related to my research so I requested a dozen or so dated from 1945 to 1950. The staff delivered them quickly. The folders were poorly organized (papers seemingly just stuffed in), filled with hard-to-read handwritten documents and many more files which were water damaged and molding. Nevertheless, I immediately found a handful of files that had a place in an article I’m working on about the CCP’s nationality policy in Yanbian in the 1940s and 1950s. The staff said they would happily photocopy them for a small fee. Wow, this is incredible, I thought to myself. 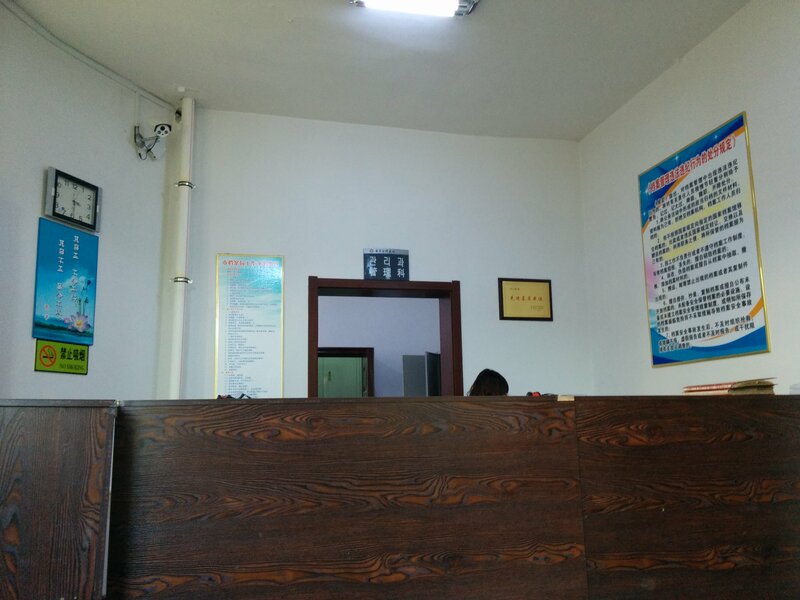 Door's basically open at Longjing Municipal Archives, just 30 minutes from Yanji. As they started the photocopying, I requested the index for the Municipal Party Committee and went though the same steps of reviewing and requesting 开放 folders. Again, I found dozens of reports that impressed me enough to request copies. After waiting awhile, finally the copies were ready, about 100-150 pages. It’s nerdy to say, but I was excited as all hell. It was at that moment that someone else entered the reception room. I could just tell by the look she gave me–a glare, questioning why this foreigner was in the archive–that this would not end well. When she started interrogating the two staff about what they were doing, I gathered she was the boss around here. I tried to intervene and say I came to research the history of Northeast China on the basis of declassified historical materials, but the director ignored me. I even pointed to the catalog to show that all of the folders were 开放. She didn’t care. She collected all of the photocopies from behind the counter and said there was no way I was getting my hands on them. It didn’t matter that they were over 60 years old and had been open, allegedly, for many years already. After letting my imagination run wild (these documents change everything! This will make for a great article in ‘x’ top journal! ), you can picture my disappointment and frustration at this unfortunate turn of events. I left the Longjing Municipal Archives fuming. @AmandaUCSC I began questioning the series of life choices which led me to a career dependent on field work in China. And then I had a beer. Why does this happen? One major issue is that the bulk of Chinese archives are not research-oriented, nor do they have a research agenda. This is reflected even in the office and furniture layout. Many archives off the beaten path do not have reading rooms or other amenities I take for granted in the US. Instead, there is a service desk and, if you’re lucky, a few chairs or a couch. There might be a small coffee table. In Longjing, this was the case. Often times the archives are literally under construction. In Longjing, a construction crew was lugging dozens of heaters up the stairs and installing them in each room. As they hammered away, I thought this may be loud and disruptive, but it seemed par for the course. 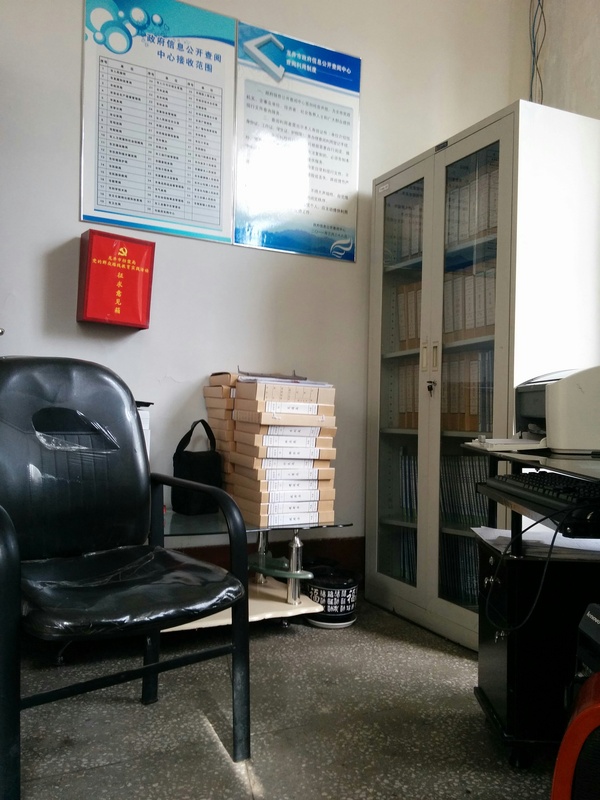 Furnishings aside, smaller archives in China often only have two audiences in mind: individuals who work for the party-state, who can access information more freely, and citizens wanting personal information (such as copies of marriage certificates). Relatedly, the bigger problems are the uneven implementation of regulations relating to archives, the tendency of archive directors to deny access “because they said so,” and the general downturn in the freedom of information in the PRC. No one wants to give unimpeded access to archives because they’re afraid it will come back to hurt them. While the deputy in Longjing and the junior staff didn’t really care, the director of the archives didn’t want to take the risk, even for stuff that had been declassified long ago. Openness, or 开放, as it turns out, is a term of increasing irrelevance in China today, at least when it comes to research in the archive. TheLongjing Municipal Archives is located at 龙井市吉安街1号.